There’s no predicting the outcome, and the results might really matter. Iran, it turns out, is having a real election after all. Tomorrow and over the weekend, I’ll report on the actual election results—and what they might mean for Iran’s relations with the United States and for the standoff over Iran’s nuclear program. But today, the election itself. Last month, after the Guardian Council—the oversight body whose dozen members are appointed by the Supreme Leader, Ayatollah Ali Khamenei, and by the Khamenei-controlled judiciary—disqualified two opposition-minded candidates (including a former president of Iran) from running, some American Iran-watchers concluded that Iran shouldn’t bother having the election at all. The seeming ultraconservative in the race, Saeed Jalili, now had the field to himself, they said, and had been “anointed” by Khamenei as Iran’s next president; and even many late reports suggest that Jalili is still Khamenei’s preferred candidate. 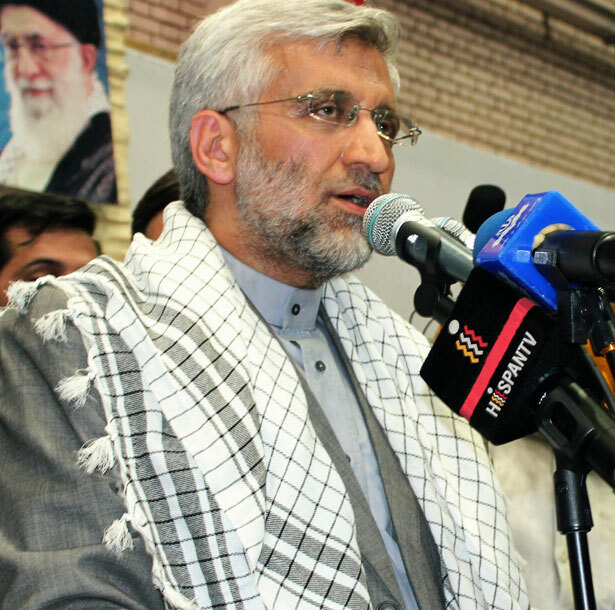 But that doesn’t mean that Jalili is a lock, and he might not have enough support to qualify for the June 21 two-man runoff if no one wins 50 percent in the first round on June 14. In fact, according to some polls—though in Iran, especially, polls are not overly reliable—Jalili is now in third or fourth place in advance of tomorrow’s election. Not only that, but the reformist movement in Iran is roaring back, in support of Hassan Rouhani, the only cleric in the race and an ally of former President Mohammad Khatami, who this week endorsed Rouhani. Rouhani got another endorsement from another former president, Ayatollah Ali Akbar Hashemi Rafsanjani, the would-be candidate who was excluded by the Guardian Council in May. Another candidate, Mohammad Baqer Qalibaf, the quirky conservative who is the mayor of Tehran, is roughly tied with Rouhani, with Jalili in third or fourth place. Given Iran’s system, in which a lot happens behind the scenes—including the election count—that doesn’t mean Jalili ought to be counted out. But his sternly worded election slogans, in which he pledges no compromise in talks with the United States and says that he favors a “resistance economy,” which could tumble Iran into North Korea–like economic isolation, don’t seem to be resonating with Iranian voters. There is one sense, of course, in which the election doesn’t matter. Whoever wins the presidency in Iran will still be beholden to Khamenei, who makes the key decisions—including about the nuclear file. But in the past, Iranian presidents have had a real impact, within the system’s relatively narrow lanes, and Khamenei may give the president—whoever he will be—some leeway to act. It’s also possible that Khamenei himself is undecided about which way to go in Iran’s quandary. Still, the establishment in Iran doesn’t seem happy about Rouhani’s prospects. According to a former Iranian diplomat who spoke to The Nation on background, Rafsanjani and Khatami withheld their endorsement of Rouhani until the very eve of the election in order not to provoke the election authorities and the Guardian Council. (Indeed, even this week there were rumors, apparently untrue, that the Guardian Council would take action to bar Rouhani.) As a popular reformist, the only cleric in the race, and as a former nuclear negotiator under Khatami, Rouhani is gaining momentum. The only other reformist in the race, Mohammad Reza Aref, dropped out last week in order to allow reformists, centrists and moderates to gather around a single standard-bearer. But when Rouhani submitted a campaign video biography for broadcast by Iran’s television network, astonishingly the broadcasters—loyal to the conservative establishment—refused to run it unless Rafsanjani’s endorsement of Rouhani were deleted. The presence of several other conservative (“principlist”) candidates in the race—besides Jalili, the most prominent is Khamenei’s foreign policy adviser, Ali Akbar Velayati—might split the principlist vote and divide establishment-minded clerics. The Washington Post, reporting from Qom, Iran’s clerical capital and religious center, notes that the thousands of mullahs and ayatollahs there don’t seem to have a preferred candidate. When the Post visited Velayati’s campaign office in Qom, he found it staffed by only two teenagers. After their experience in 2009, when millions of Iranians flooded the streets of Tehran and other cities to protest the election’s outcome, it’s understandable that many reformists, liberals, business people and middle-class voters might be reluctant to count on Rouhani. Unlike 2009—when I spent two weeks in Iran watching the election excitement build—this time, according to The New York Times, there is far less visible electioneering, street demonstrations, posters and leaflets, and other election paraphernalia visible in Tehran. The authorities, mindful above all of suffering through another 2009-style upsurge, have taken steps to limit political expression and debate, and they’ve changed the format of the televised debates drastically to lessen public interest in the outcome. But quite a few observers of the election note that a substantial portion of the coalition that backed Mir Hossein Mousavi in 2009 is once again ready to go to the polls, even though other voters say that a boycott is the best way to express their political feelings. But, just as Rafsanjani and Khatami backed Mousavi four years ago, the support of the two former presidents has once again excited Iranian voters. James Harkin chronicles the fight for Aleppo from behind rebel lines.